Coding4Girls kick-off meeting was held in Porto, Portugal at the Engineering School of the Porto Polytechnic - ISEP. 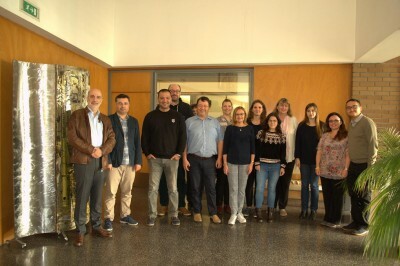 After welcome talk and opening (by Carlos Vaz de Carvalho, Virtual Campus Lda and Jože Rugelj, Univerza v Ljubljani), all the partners presented their organizations and the project activities were started up. During the meeting, the project aims and the three intellectual outputs to be carried out were described, and the project members discussed on the tasks distribution and the nproject deadlines. Participants were: Jože Rugelj (Univerza v Ljubljani), Mateja Bevčič (Univerza v Ljubljani), Carlos Vaz de Carvalho (Virtual Campus Lda), Rita Durão ((Virtual Campus Lda), Silvana Costa ((Virtual Campus Lda), Olivier Heidmann (Panepistimio Thessalias), Michela Tramonti (EU Track), Alden Dochshanov (EU Track), Murat Ugur (Istanbul Valiligi), Harun Yaman (Istanbul Valiligi), Nataša Hoić-Božić (SVEUČILIŠTE U RIJECI), Daniela Tuparova (SOUTH-WEST UNIVERSITY NEOFIT RILSKI).